The Joint Commission, which oversees the implementation of the Iran nuclear deal in accordance with the Joint Comprehensive Plan of Action (JCPOA), held a meeting in Vienna on April 25. However, according to Russian Permanent Representative to the International Organizations in Vienna Vladimir Voronkov, there is yet another burning issue in addition to the usual assessment of the implementation of the plan. Speaking to RIA Novosti, Voronkov drew attention to the fact that European and American banks are still unable to ensure full-fledged financial cooperation with Iran although the UN Security Council canceled all multilateral sanctions previously on Iran. "The Iranians face serious problems because they cannot achieve the level of economic cooperation they expected when they struck the agreement," Voronkov noted. To complicate matters further, the US has yet to articulate its stance on the implementation of JCPOA. Washington continues to send mixed signals to Iran, by admitting that Tehran has complied with the requirements of the deal and simultaneously dubbing the Iran nuclear agreement a "failed approach." 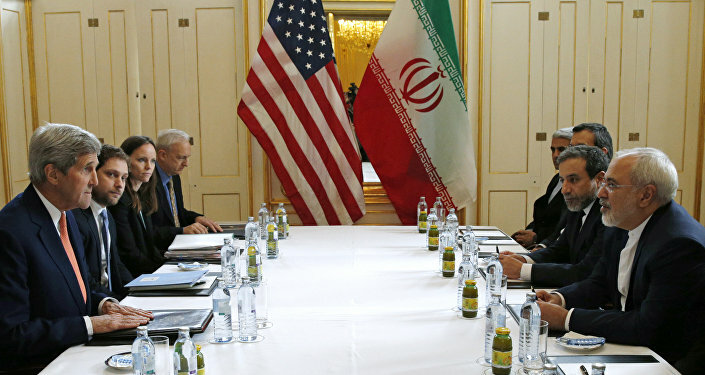 "The JCPOA fails to achieve the objective of non-nuclear Iran. It only delays their goal of becoming a nuclear state," United States Secretary of State Rex Tillerson told reporters last week. Still, observers highlight that whether Washington likes it or not, it cannot unilaterally abolish or change the internationally-brokered nuclear deal. In an interview with Sputnik Persian, Press TV political observer Hassan Beheshtipour noted that nevertheless, Washington has found the way to throw sand in Iran's gears using ambiguous formulations of the deal. "The EU recognized the lifting of sanctions imposed on the Islamic Republic and pledged to abolish them as soon as Iran fulfills its obligations set by the IAEA. However, instead of 'lifting sanctions'… Americans announced the 'suspension of sanctions.' Thus, in fact, they have brought the process of lifting sanctions to a halt," Beheshtipour told Sputnik. The political observer pointed out that even though the US suspended the sanctions regime for three months the main package of restrictions exerted on banking, insurance and shipping sectors of Iran's economy still remains in place. According to Beheshtipour, it constitutes a serious hindrance for foreign investors. Furthermore, Washington has gone beyond the framework of the agreement and returned to "old issues" such as humans rights, Iran's missile program, Tehran's alleged aid to terrorist groups to impose a significant pressure on both Iran and the P5+1 group. "The nuclear agreement states, abstractly, that new sanctions should not be introduced under new pretenses, but, unfortunately, this formulation is not quite clear," Beheshtipour explained, "Meanwhile, Americans attribute these issues to the Iran Nuclear Program and the JCPOA spoiling the very atmosphere and spirit of the agreement. When Donald Trump signals his readiness to 'rip up the deal' it affects Iran's relations with other countries wishing to cooperate." According to the Iranian observer, the issue of lifting sanctions on Iran is more a political problem than a technical one. Beheshtipour argues that Washington is manipulating the Iran deal to twist Tehran's arm in order to force it to submit. "However, over the last 37 years, it has become clear to everyone that Iran will never yield to anyone in matters related to its national interests and will stand its ground," he emphasized. "The International Atomic Energy Agency (IAEA) and many other countries have confirmed that Iran is on the right track, which means that it fulfills the requirements of the agreement and international laws. Therefore, there is no reason not to cancel the sanctions. As they say, now it is the turn of the USA to make a move, it is [Washington] who is responsible for what is going on," the Iranian observer said. Beheshtipour reiterated that the decision to lift sanctions on Iran was taken by the international community and was sealed by the UN Security Council Resolution 2231. Speaking to Sputnik Persian a week ago, Hamed Mousavi, a professor at the Department of Political Sciences of the University of Tehran, voiced a similar stance. 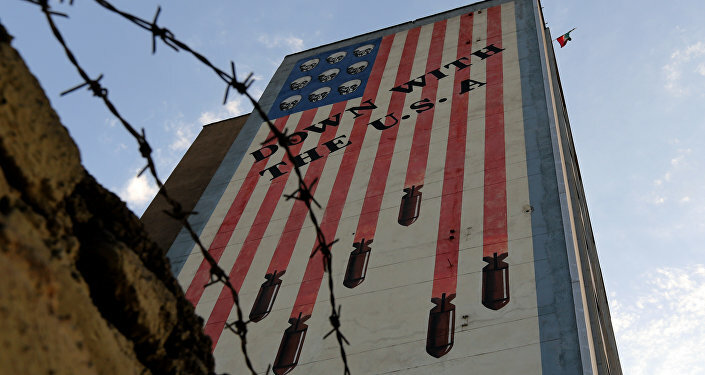 "The US should not forget that a nuclear deal is not a bilateral agreement between [Washington] and Iran. The United States cannot unilaterally abolish the international agreement that was signed by Iran and several other countries and which was approved by the UN Security Council. This is contrary to international law," Mousavi told Sputnik.